I talked my friend into going even though she assured me that she did not like waffles. Don’t worry, I’m not that mean, I did have a back up plan just in case we got there and she was truly not intersted. Truth is, once she saw the topping choices she had to give it a try. Here is what I love about this dear friend of mine, she likes to share food. Those are my favorite people to dine with. So we ordered 3 waffles, 2 of which were savory and one sweet. When I go I always order the 3 B’s. I’m a creature of habit. But I love brie, basil and who doesn’t love bacon? 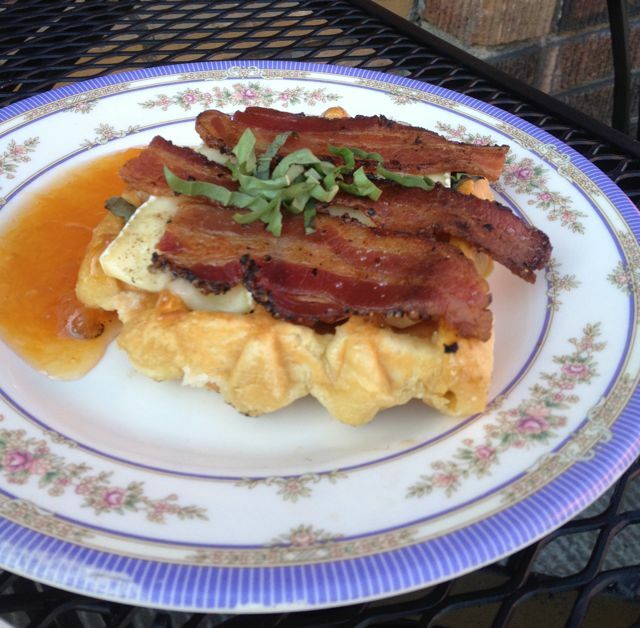 All that on top of a waffle is my kind of breakfast. We also ordered the Farm Fusion, which has mushroom, spinach, roasted pepper, tomato and marinated chevre. You can even add a slice of bacon to this, but we didn’t and let me tell you, it did not need it. 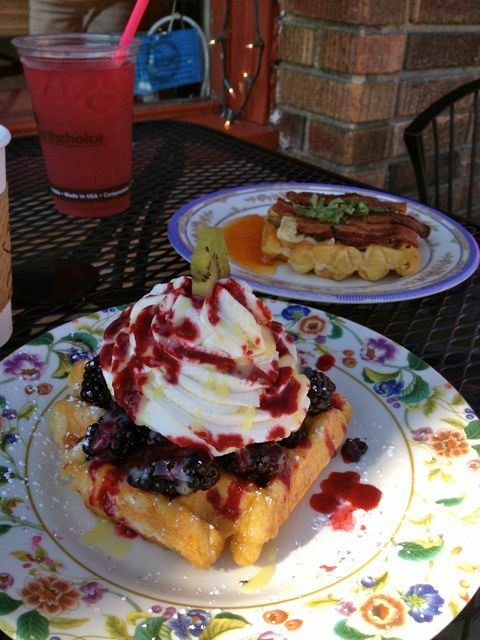 Lastly we wanted a good summer waffle with a light refreshing topping so we chose the Blueberry with lime curd. I don’t like lime, but this is such a subtle taste, it’s perfect. The toppings here are great, but don’t forget these are on top of waffles. I will admit, I’m not really a waffle person either. I never order them and I rarely make them at home. But these waffles are different. Even after tasting and savoring, the very last bite is still crunchy, slightly sweetened and a perfect texture. I don’t know how to describe it, except I don’t like waffles that are airy and blah. These are NOT that. Just so you know we both liked the Farm Fusion the best. I even liked it better than the 3 B’s. I know crazy huh? 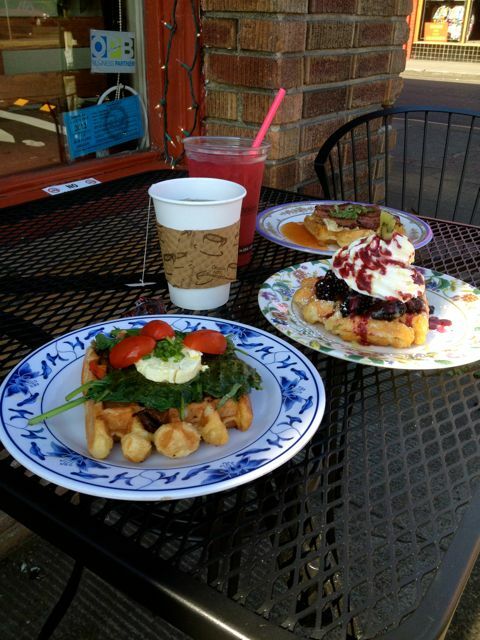 The Waffle Window is easily one of my favorite places in Portland. The atmosphere at Waffle Window is quaint. You walk up to the window and place your order. There is covered seating outside if you need it and if it’s really chilly there are a few tables inside Bread and Ink that you can sit at. Just remember to bus your own tables. Pricing is great. Each waffle is $4-$5 and they are quite large. The have coffee and tea. 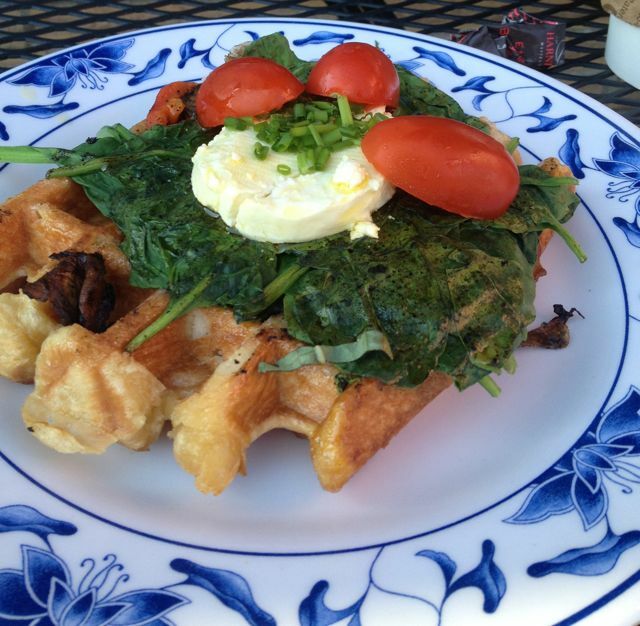 I was so enamored with my waffle I forgot what kind they serve, but I remember not being disappointed. 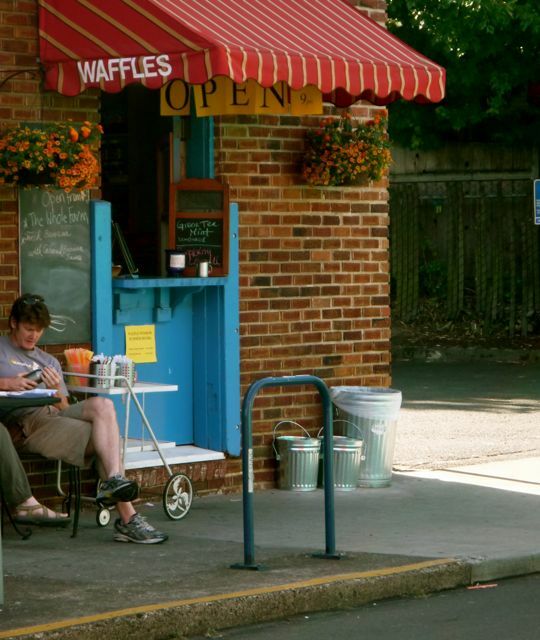 The Waffle Window is located on Hawthorne Blvd. but a second location recently opened on Alberta.